If you’ve been avoiding cold and hot foods or beverages because of sensitivity in your teeth, it may be time that you try and find out the underlying cause for the pain. Dentin, the primary material found inside each tooth, contains microscopic tubules full of tiny nerve endings. Then, on the outside, a much harder material considered as the hardest substance found in the human body known as enamel, covers pretty much the whole tooth. Durable as the enamel may be, it is still possible for teeth to lose its protective covering, exposing dentin or the nerve endings to hot and cold food or beverages, resulting in pain. The excessive use of a hard-bristled toothbrush or brushing too aggressively, resulting into the enamel wearing out prematurely. Frequent exposure to highly acidic beverages and acidic foods resulting to tooth erosion. Tooth decay, broken teeth and worn-out fillings that may expose dentin. Exposed roots of the teeth due to gum recession. Bruxism or the habitual grinding of teeth, especially when asleep. A possibleside effect of certain dental treatments such as tooth bleaching, crowns, fillings and so on. The first step in getting rid of the pain that comes with tooth sensitivity is to talk to your dentist and have your teeth checked. During your visit, it is best to describe when you first remembered feeling the pain, as well as what caused or triggered it. Also, tell your dentist about certain measures you’ve taken, such as applying a warm compress that had a positive effect. Your dentist will have to check your mouth thoroughly to determine the reason behind your tooth sensitivity. Then, after a brief discussion, you can then choose the type of treatment you want to have to treat underlying cause. 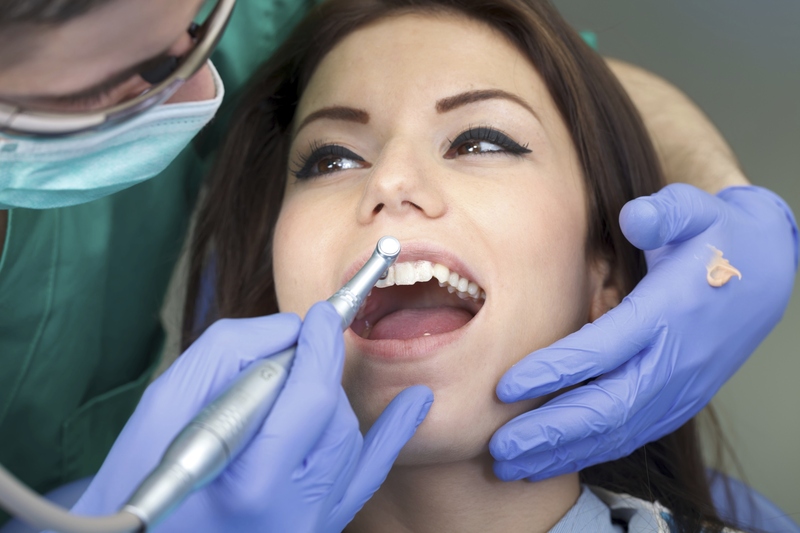 Treatment may be something as simple as filling in a cavity, or having a worn filling replaced. However, it can also be as complex as having a gum graft conducted to help protect the exposed root surface or periodontal treatment to treat tooth decay, as well as to prevent it from reoccurring. Other forms of treatment may be the application of an in-office fluoride gel that can help strengthen the tooth enamel. This may help reduce, or even eliminate, painful sensations. You may also want to consider using desensitizing toothpastes instead of what you regularly use. Since they’re specially designed for sensitive teeth, you should feel less or even no pain at all with regular use. Also, you’ll want to use a toothbrush with soft-bristles and change it every time it’s worn out, or every two to three months, whichever comes first. Still, the best thing that you can do, as mentioned earlier, is to set an appointment with your dentist today. Who knows, one visit may be all that it takes for you to be able to enjoy ice cream as you once did! If you have any questions or concerns regarding your oral health, contact Dr. Clive Rosenbusch, DDS at 561-394-7888 to schedule an appointment today. Or visit www.cliverosenbuschdds.com for additional information regarding oral health.